Like many industries today, the financial services sector is looking to become more customer-centric—to provide faster, easier, and more secure ways for consumers and businesses to buy goods and services online. UK-based Lloyds Banking Group is no different. Committed to becoming a world-class, customer-centric digital bank, Lloyds is actively exploring biometrics, including voice recognition. According to Marc Lien, Director of Innovation and Digital Development, the use of speech is exciting not only because it’s convenient, but also because it can empower the 360,000 people registered as blind or partially sighted in the UK. To that end, Lloyds has created a proof of concept for Alexa, writing test cases for logging in, requesting account balances as well as account details, and asking for help from Lloyds. Watch this video to see the skill in action. 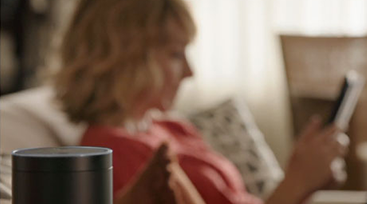 To learn more about how they are developing test of concept for Alexa, read their blog. Look for more to come from Lloyds. Are you ready to build your own Alexa skill but not sure where to start? Try our trivia and fact skill templates to get started quickly.